Kids should eat well. You should too. 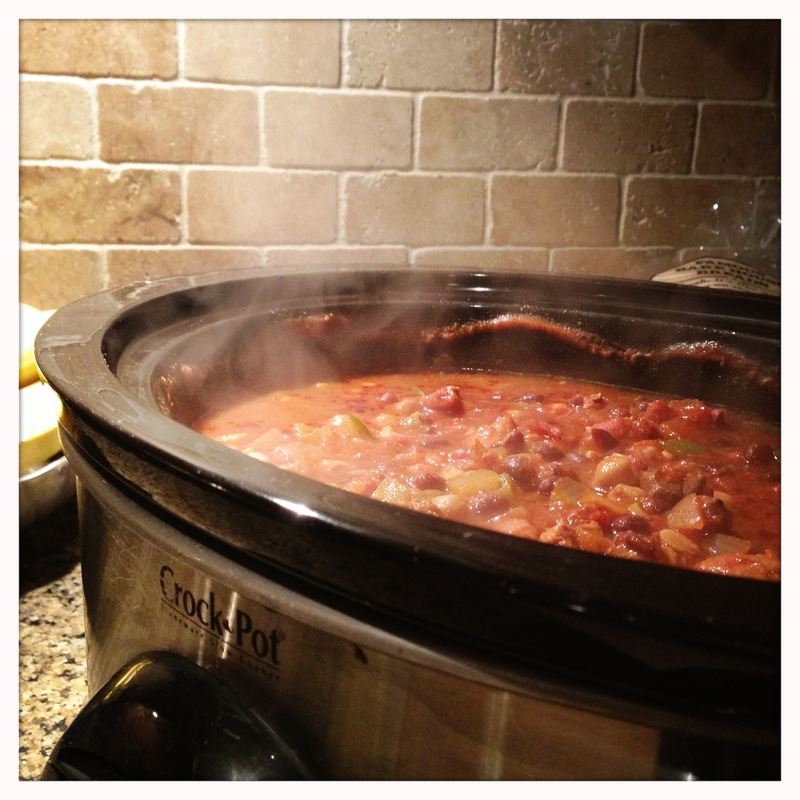 We love chili in our house. 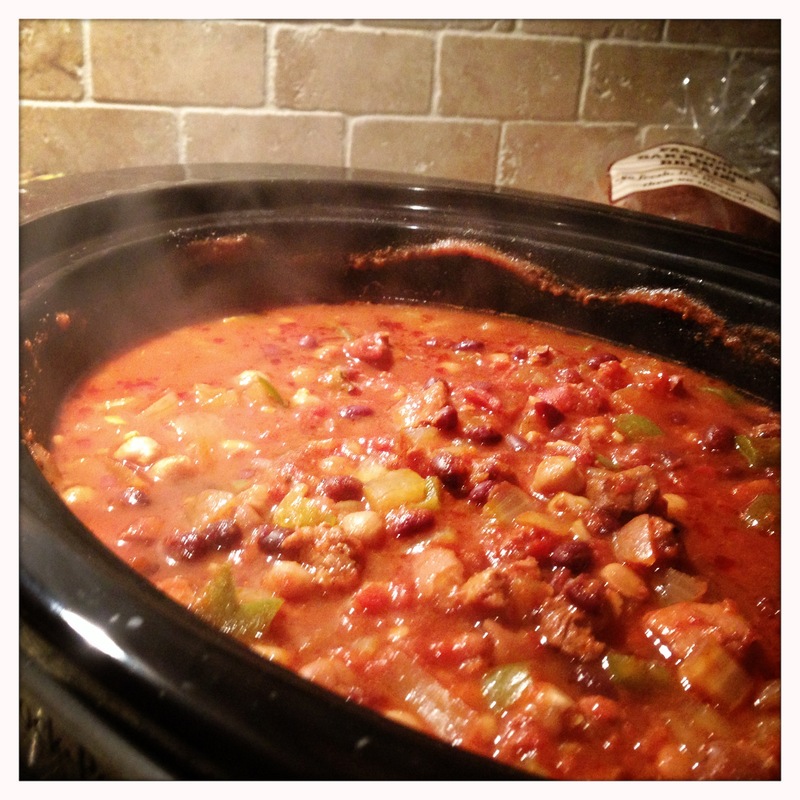 Like many people who make chili, I do have a go-to basic chili recipe. This is not that recipe. Part of the fun of making chili is shaking things up and playing with new ingredients. Frequently, this results in pushing the limits of what really gets to be called “chili” by people who seem to care a great deal about the title of chili. I don’t know if this really qualifies under the definition of chili, but Mexican-inspired chicken and tomatillo stew with peppers and beans is a really long name – so I’m sticking with chili. Meat selection was a big consideration for this recipe. The delicate tomatillo flavor and tartness of the lime would have likely been overpowered by a big, hearty beef base. Chicken is an ideal match to these flavors, and the thigh meat is the best choice for a long, slow application like chili. Even if you’re not a dark meat fan (and you should be, otherwise you’re missing out! 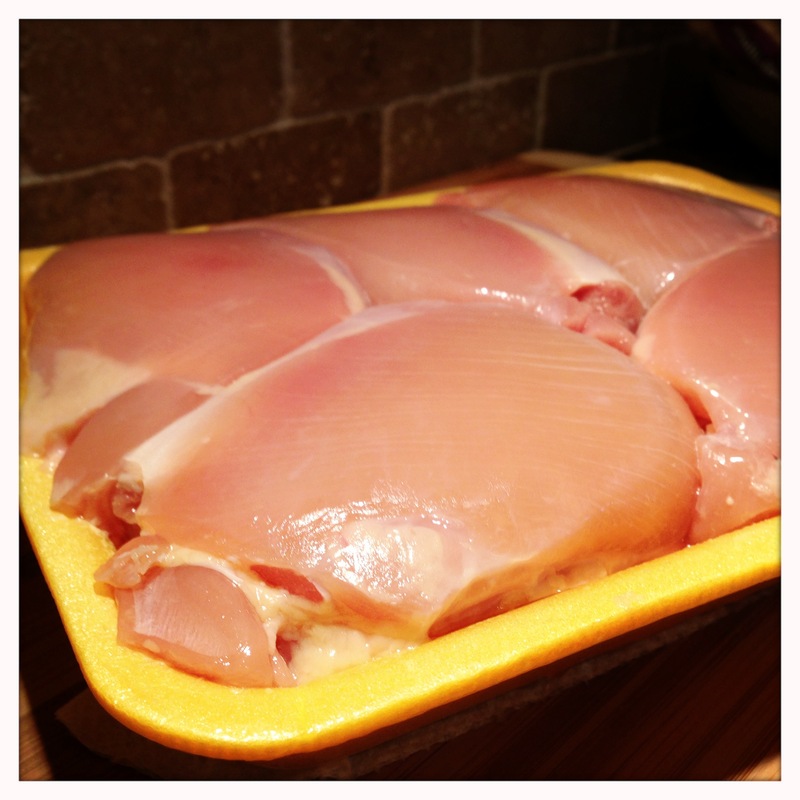 ), thighs are the way to go for this type of recipe. I typically don’t like paying for the “labor costs” of boneless/skinless chicken, but 2 lbs of thighs came to less than $5, which was worth not skinning 5-6 thighs. The slow cooker takes away the stronger flavors of the dark meat and results in juicy, tender and mild chicken. The additional fat gives some body to the liquid portion of the chili as well. Trim away any hard, fatty portions or bits of tendon/ligament that may be present. Soft fat will melt away during cooking, though, so don’t worry about trimming that out. 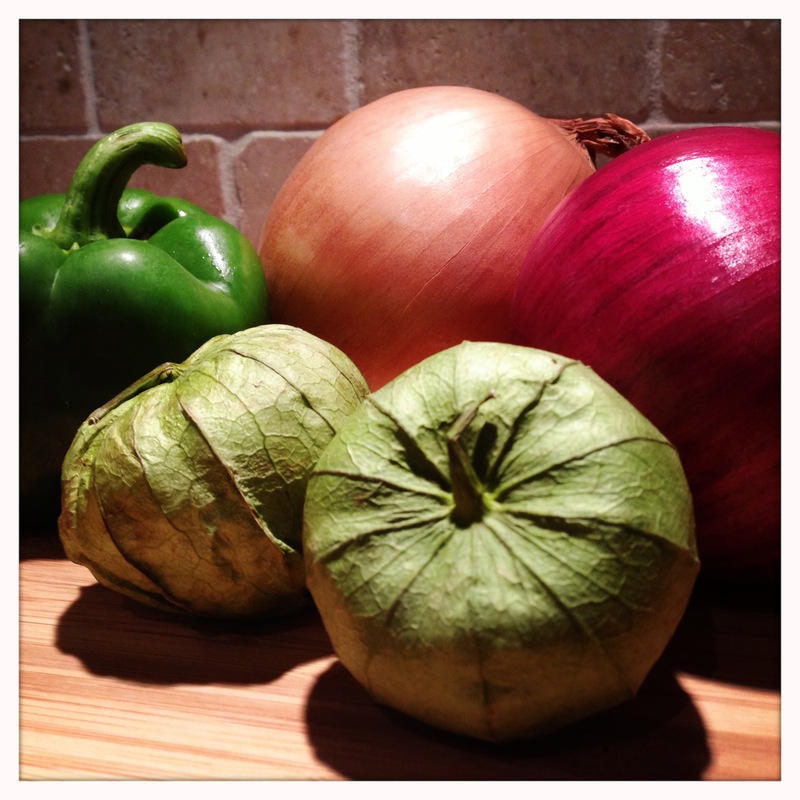 If you’ve never worked with tomatillos before, you’re not alone. But, they are a wonderful ingredient that is easy to work with and add a great depth of flavor to chili and other Mexican/Tex-Mex dishes. The outer husk is inedible, so pull that off. Under the husk, you’ll have what looks more or less like a small green tomato. It’s got a tart flavor with some peppery notes, but no heat. It does not need to be skinned or seeded. Just cube it up and it’s ready to go. Once you’ve trimmed and chopped your meat and veggies, place them in your slow cooker. Rough chopping gives a more interesting texture than having all your pieces identical in size and shape. I like to layer in my ingredients when I make chili, starting with the meat and vegetables, then canned goods, then wet seasoning (worchestershire, chili sauce and lime juice) and dry seasoning (cumin, paprika, chili powder). 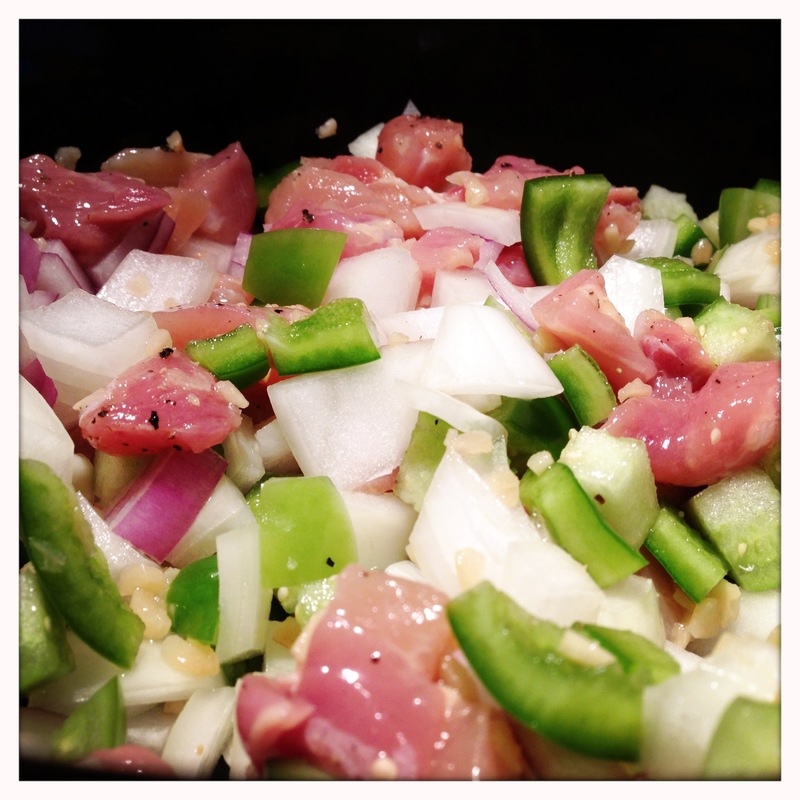 Once everything is in the slow cooker, stir to roughly combine all the ingredients. For no particular reason other than habit, I always put a few grinds of black pepper on top after I’ve stirred right before I start the cooking. It will look a little thin when it finishes cooking, but will thicken up nicely as it cools a bit. Give it a good stir before serving. It tastes great as is, but is even better topped with a little shredded queso chihuahua and/or sour cream. Whether or not you, or anyone, consider this to be “chili” could be debated for eternity, but whatever it may be, it will always be delicious – Enjoy! © Jason Rice and "Eats For All Ages" - 2012 to present. Unauthorized use and/or duplication of this material without express and written permission from this blog’s author is strictly prohibited. Excerpts and links may be used provided that full credit and citation is given to Jason Rice and/or "Eats For All Ages" with appropriate links or direction to the original content being used.